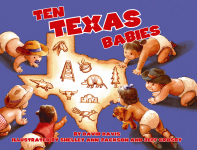 This clever, Texas-size, Texas-style tale has entertained audiences for more than forty years. 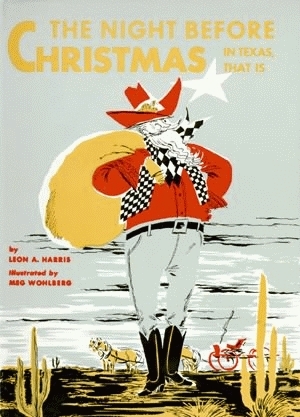 A Western Santa Claus-decked out in Levis, ten-gallon Stetson, cowboy vest, and with a bandana around his neck-makes his Christmas journey on a buckboard piled high with presents. Swooping in over the prairie to the amazement of sleepy residents and jackrabbits alike, a plump, jovial Santa parks his buckboard outside a peaceful ranch house. From boots stuffed with gifts to the faithful "hosses" pulling his "sleigh," it's a Christmas tale rich in Texas tradition and language. Written by Leon A. Harris and illustrated in full color by Meg Wohlberg, this intriguing tale ropes in the spirits of Christmas and Texas while kindling the imaginations of readers of all ages. Leon A. Harris continues entertaining and educating audiences of all ages. His works include children's books on subjects ranging from a French mouse to Russian ballet schools to the Peruvian children. He also writes for historical journals and contemporary magazines. A writer who can capture the imagination of any reader, Harris has most recently been published in Town and Country and Smithsonian magazines.